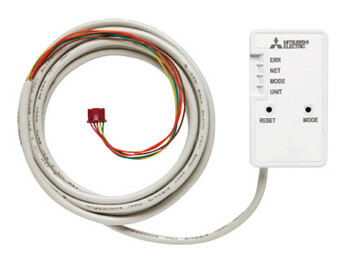 The latest control and monitoring system introduced by Mitsubishi on selected models allows you to control and monitor your air conditioning systems using your PC, Tablet or Smartphone. 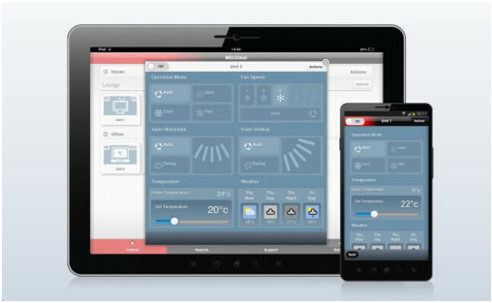 Using an integrated wifi adapter fitted inside the air conditioning indoor unit, MELCloud collects information on the performance of cooling or heating systems, using a Wi-Fi interface to deliver information on energy use or alarms to a range of portable devices. It will also incorporate localised information such as weather feeds and customer support contact details. MELCloud puts the information wherever users need it most, supporting proactive and continuous optimisation of the operation of your systems. 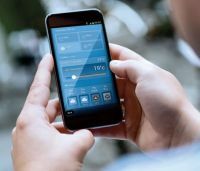 MELCloud is freely downloadable as an app and even allows the installer to monitor faults remotely, saving on call-out costs. Head Office : 1 Well Street, Heywood, Greater Manchester, OL10 1NT. Manchester Sales Office : 1 Cutting Room Square, Ancoats, Manchester M4 6WX.